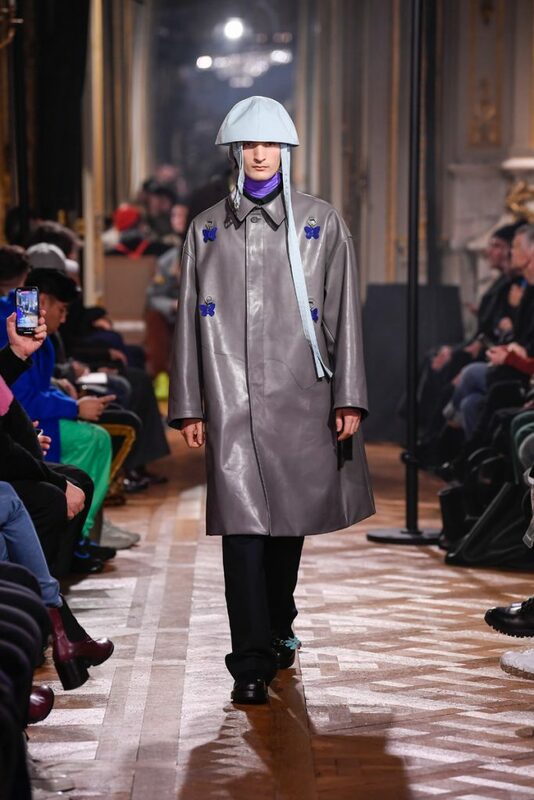 “I don’t want to be negative. 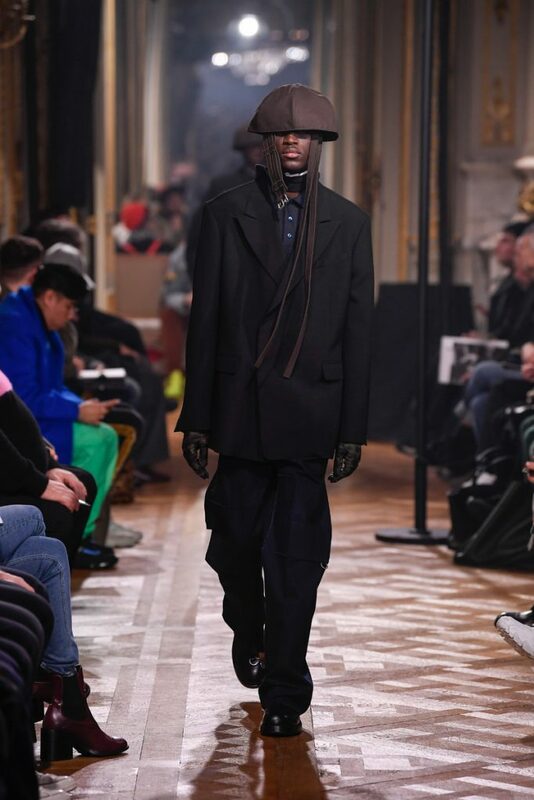 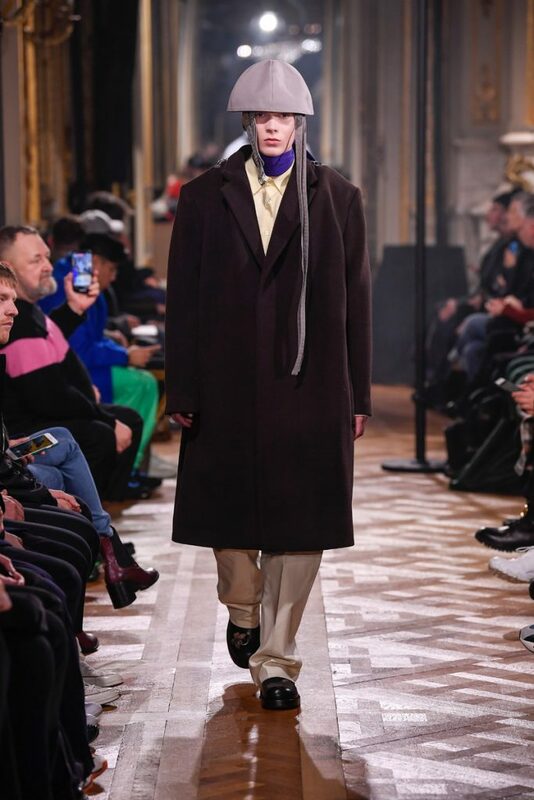 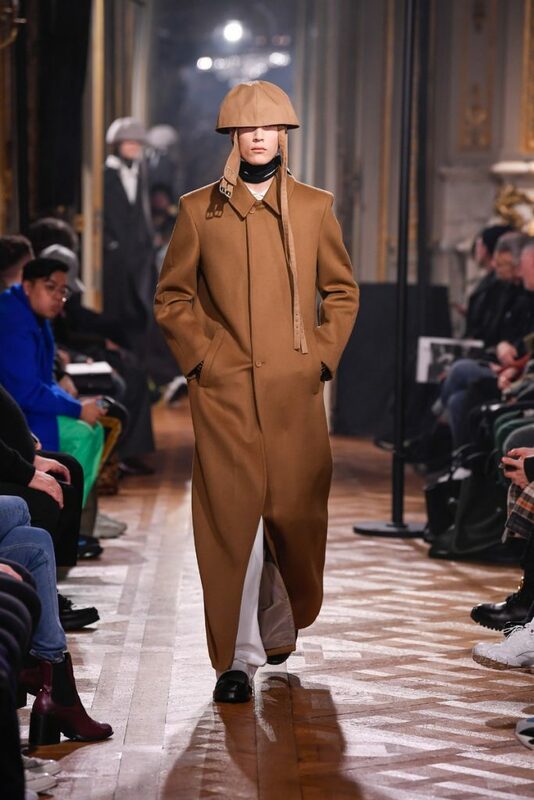 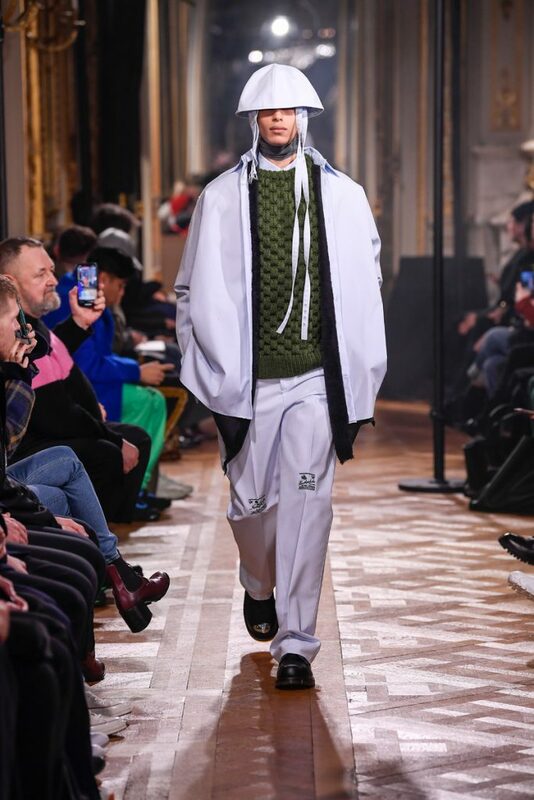 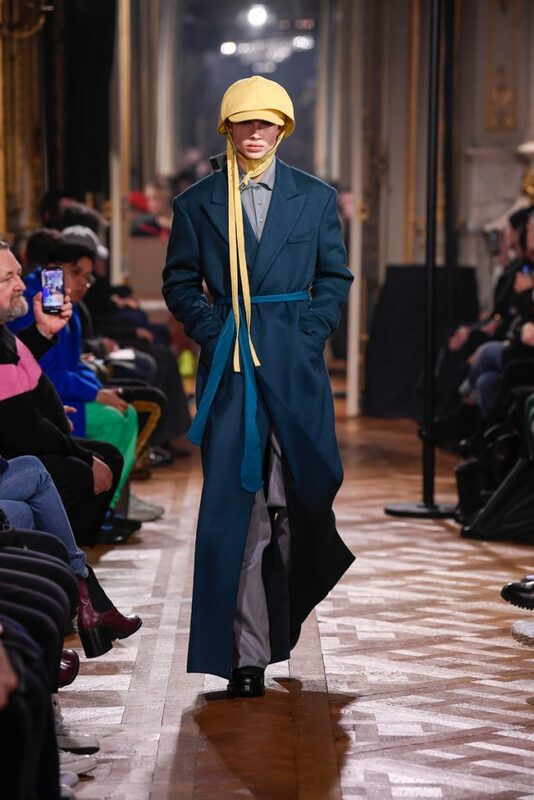 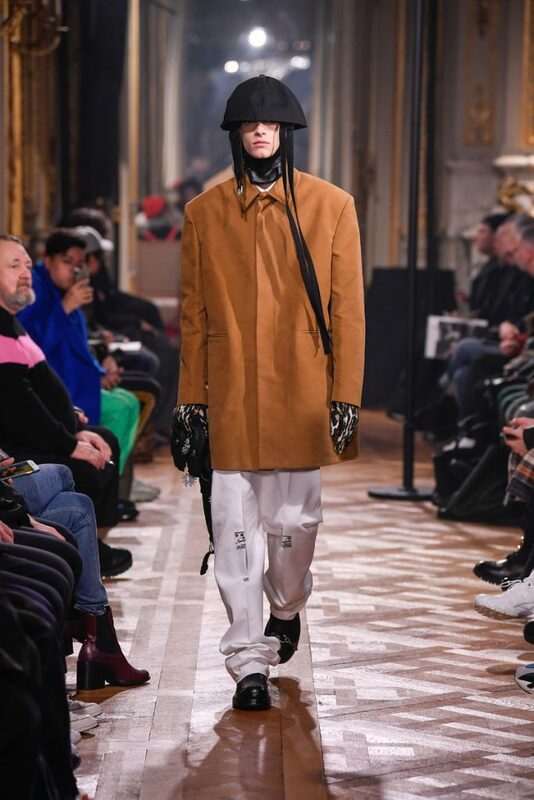 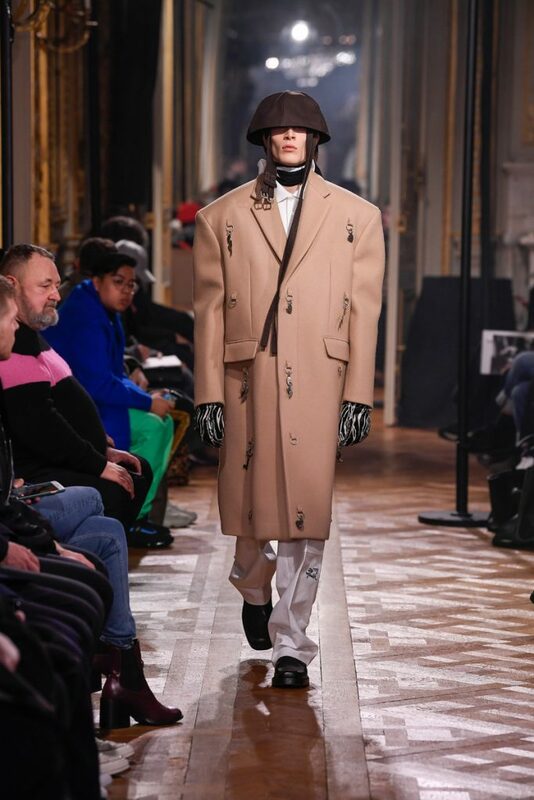 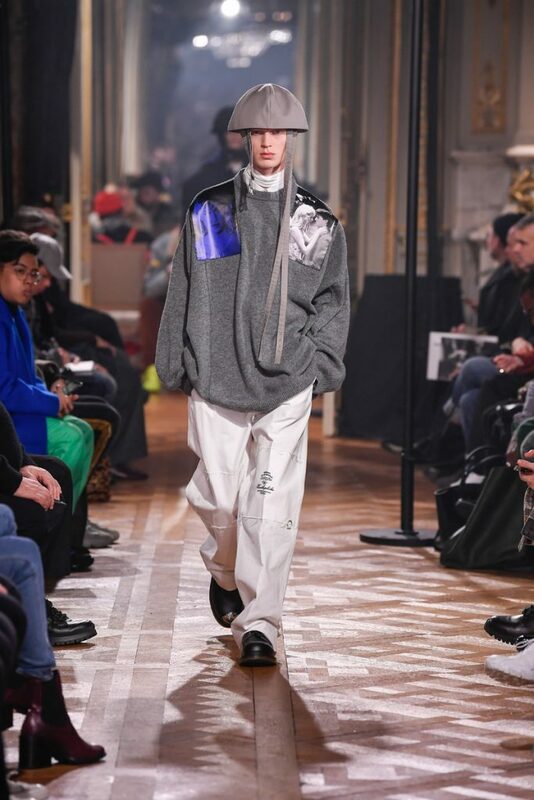 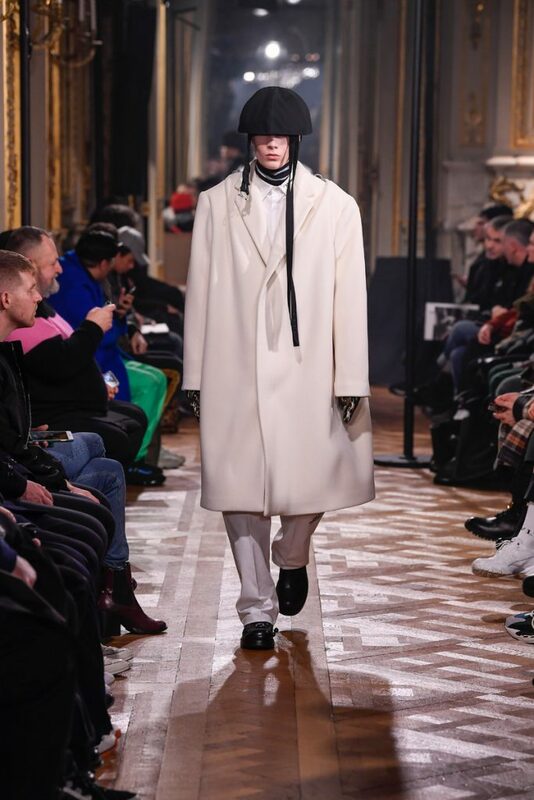 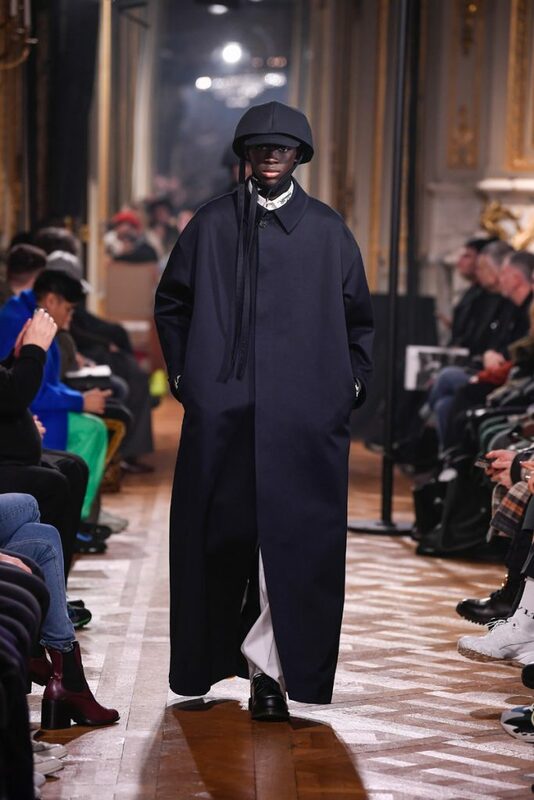 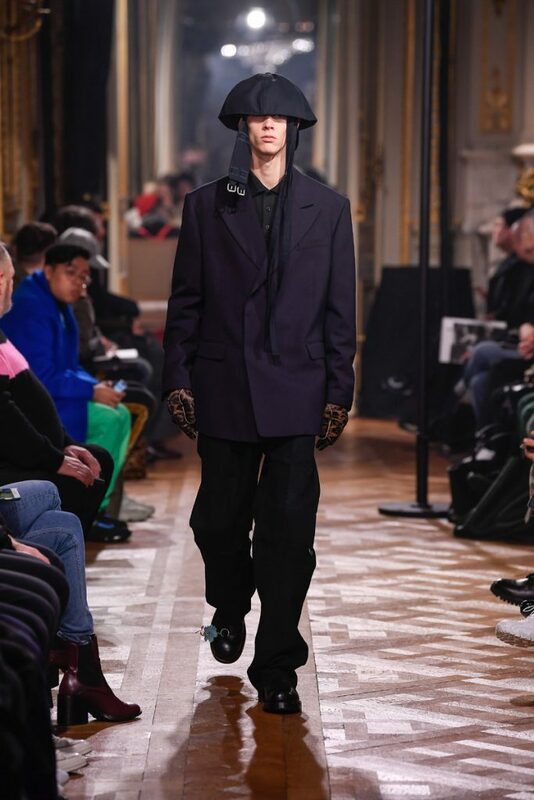 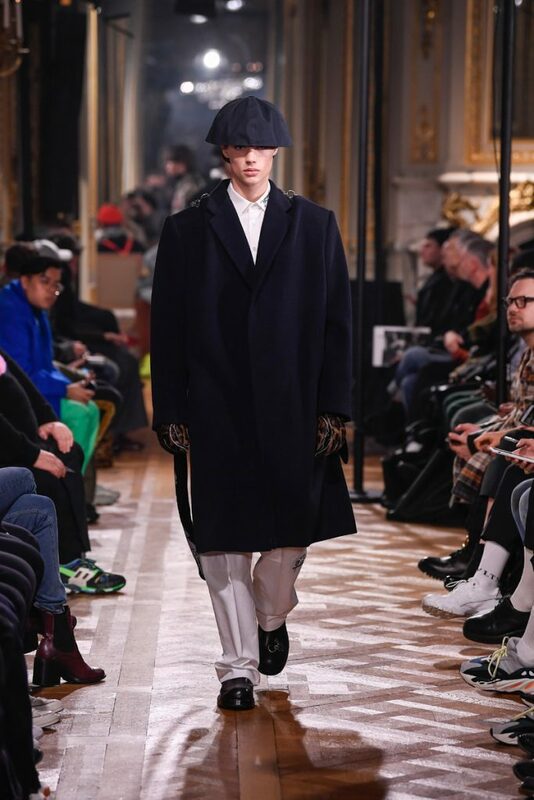 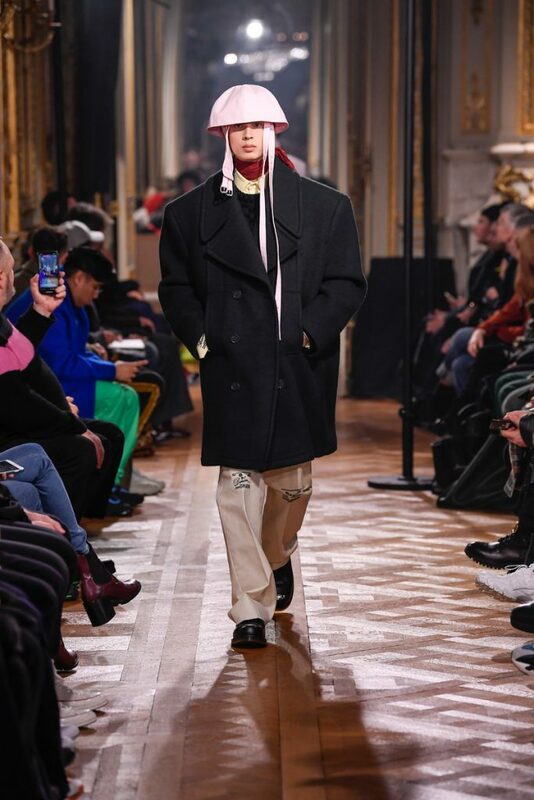 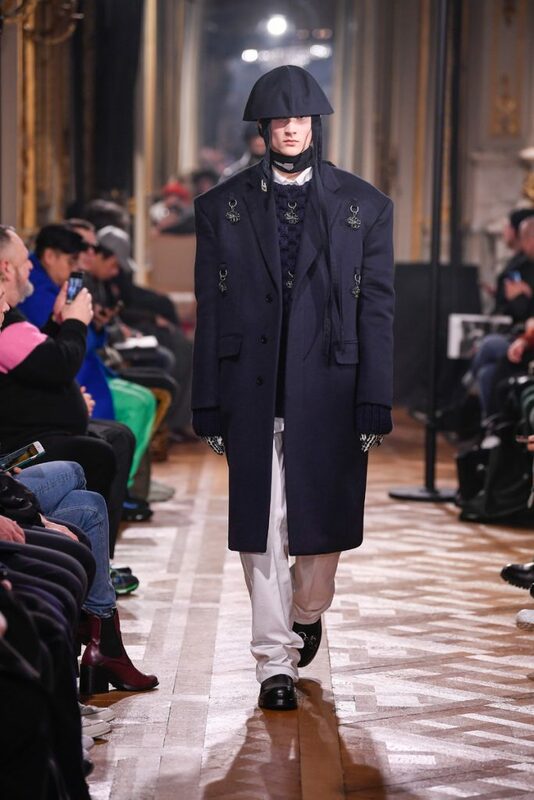 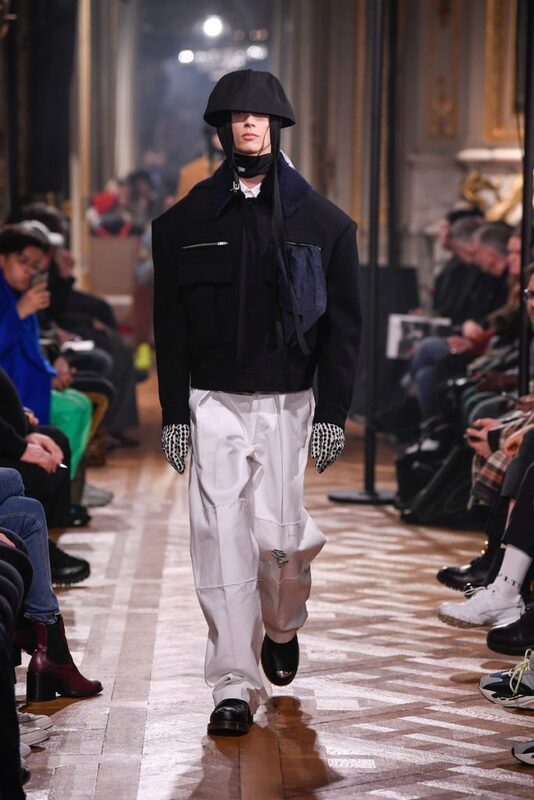 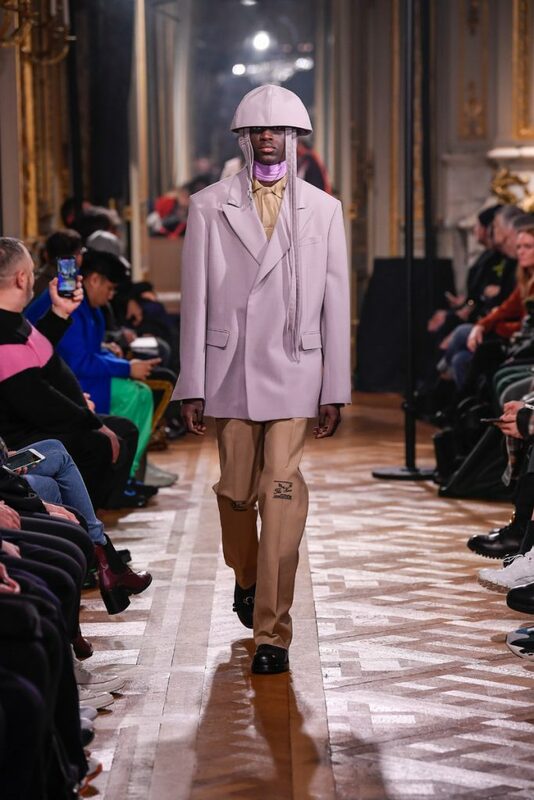 I want to do something abstract and beautiful and elegant and proud and sophisticated, but without losing the edge of what the brand stands for: the young generation, the dark movies”, Raf Simons stated backstage. 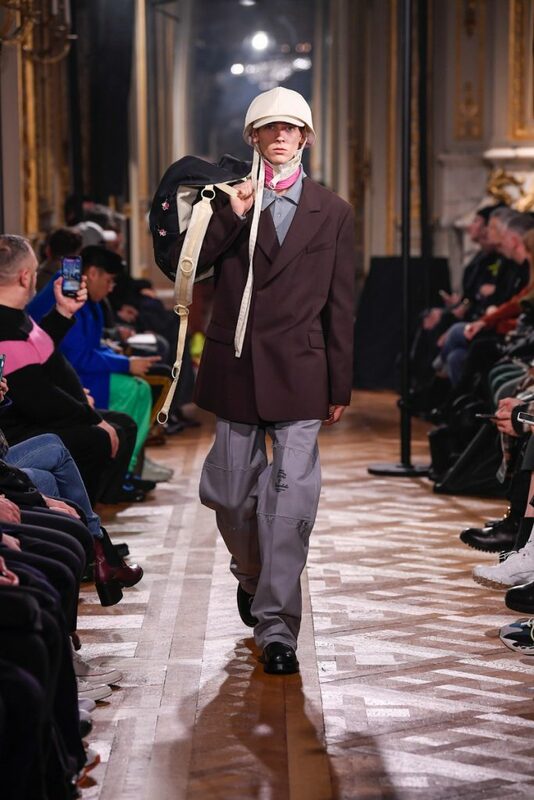 And boy did he deliver. 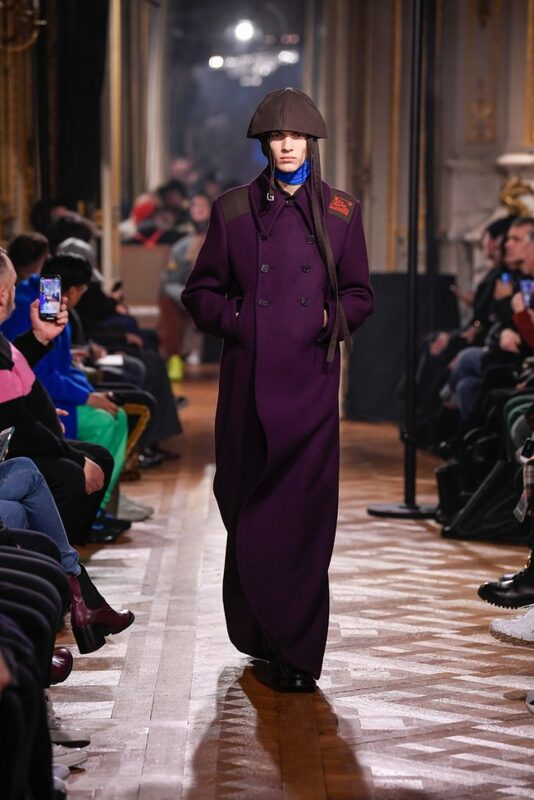 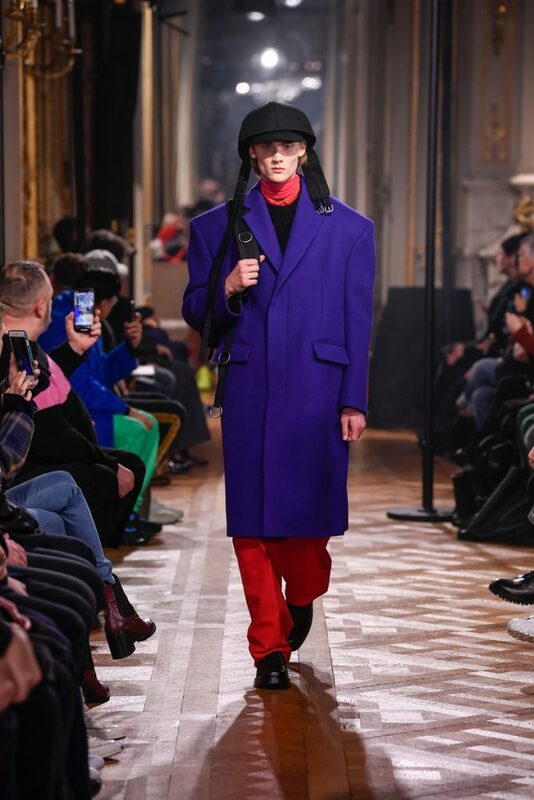 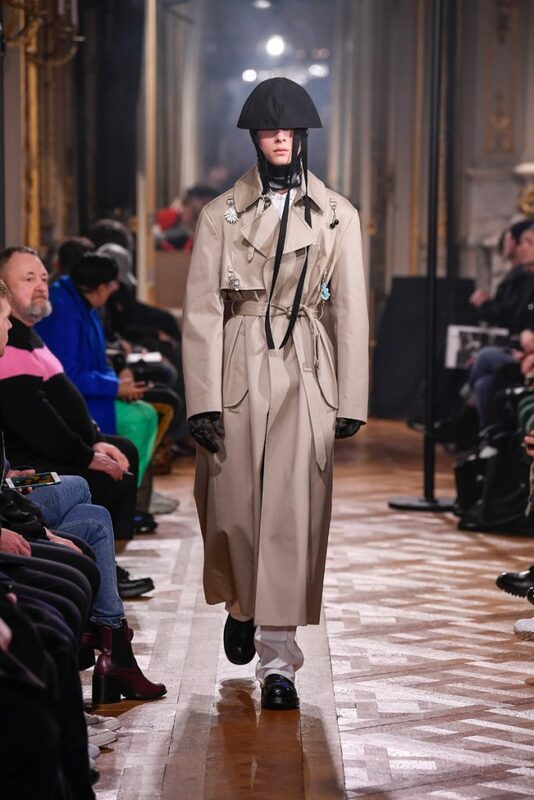 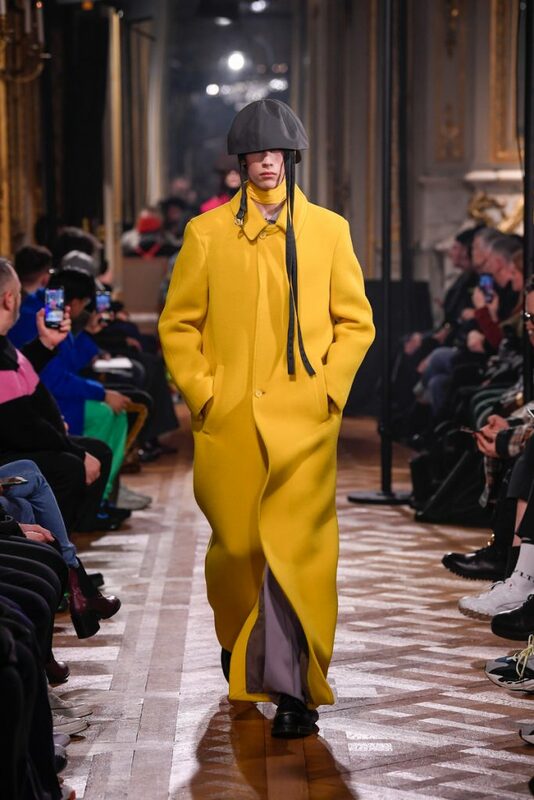 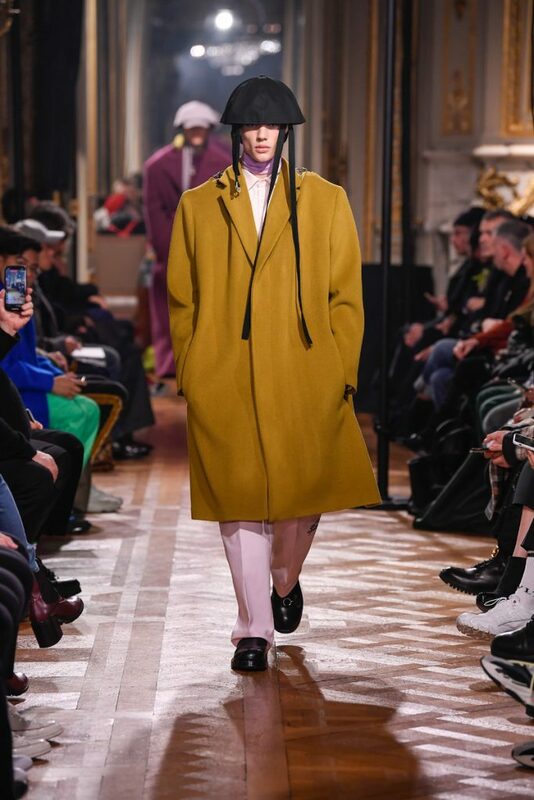 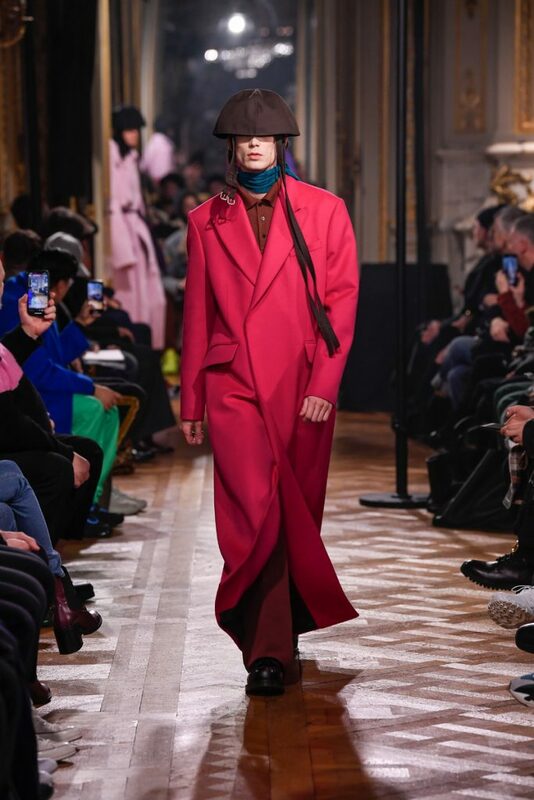 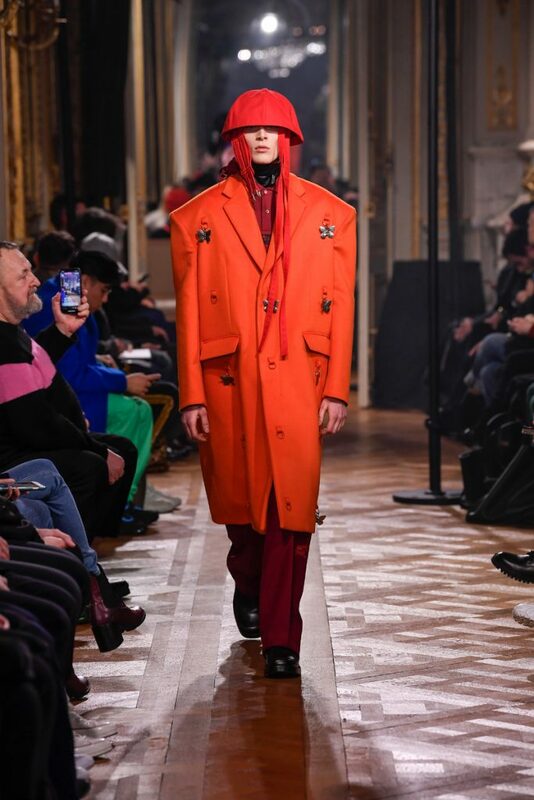 His collection mainly spoke of bright colored, strong shouldered long coats and funny hats/helmets. 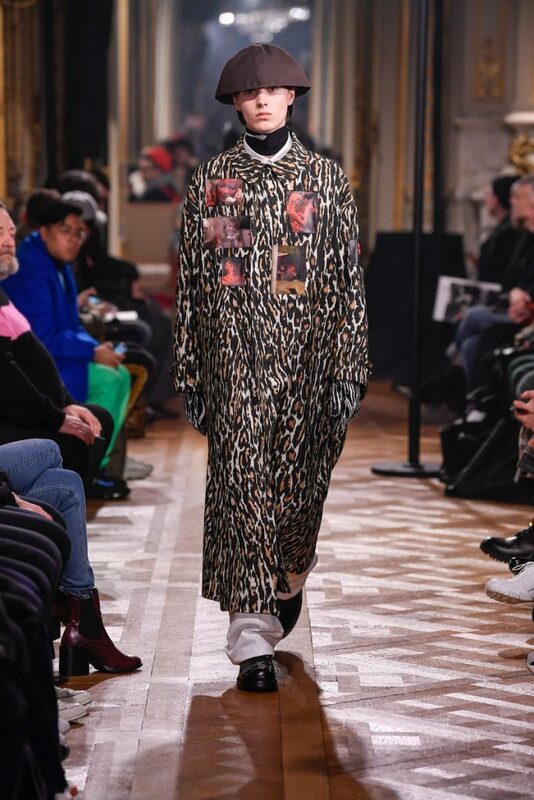 A few leopard prints in the mix too. 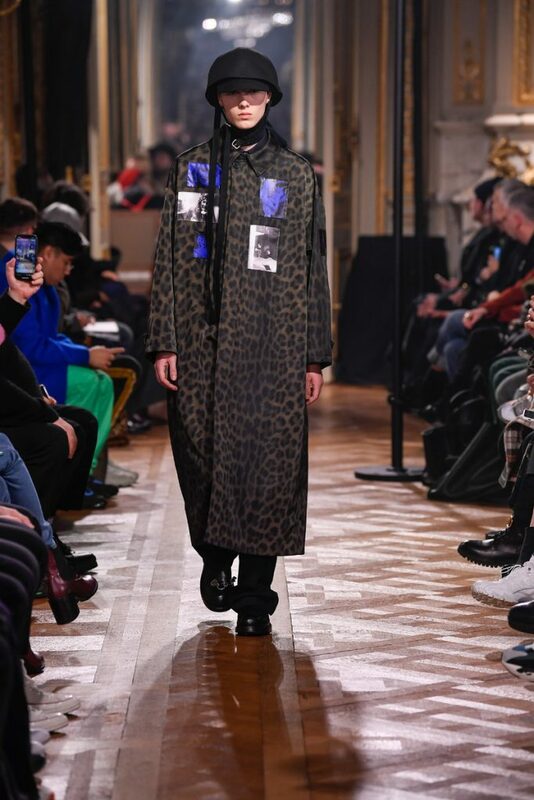 A leopard printed coat even got a few photographic prints (stills from David Lynch movies) patched to it’s chest. 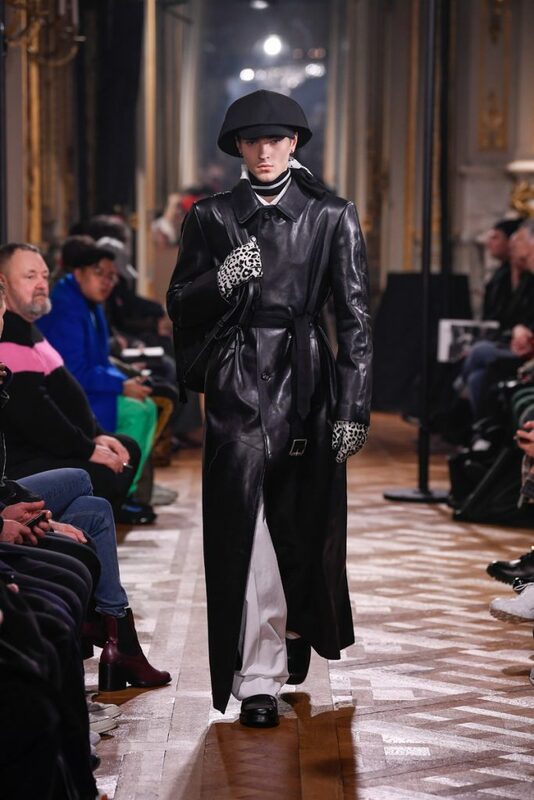 Workwear boots, motorcycle gloves and skull print scarves completed the looks. 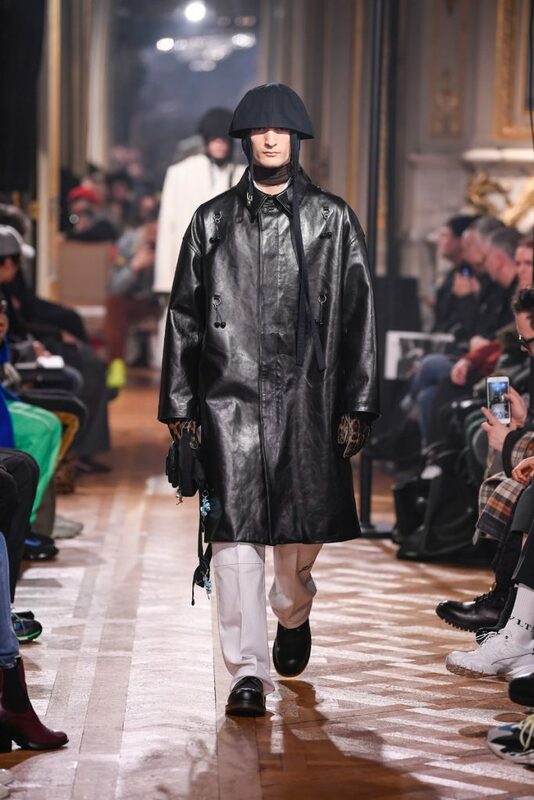 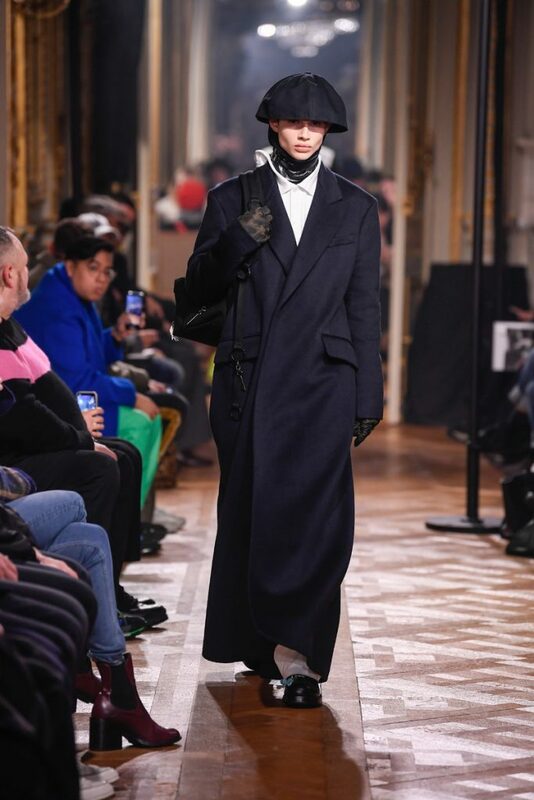 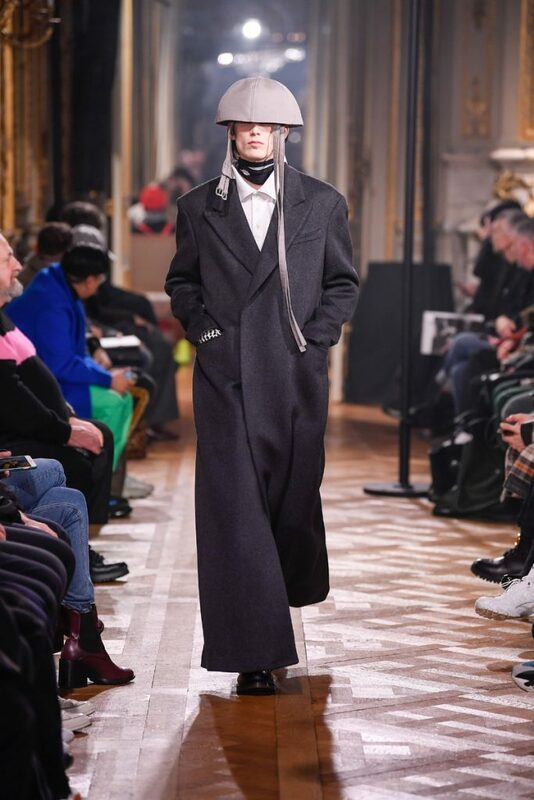 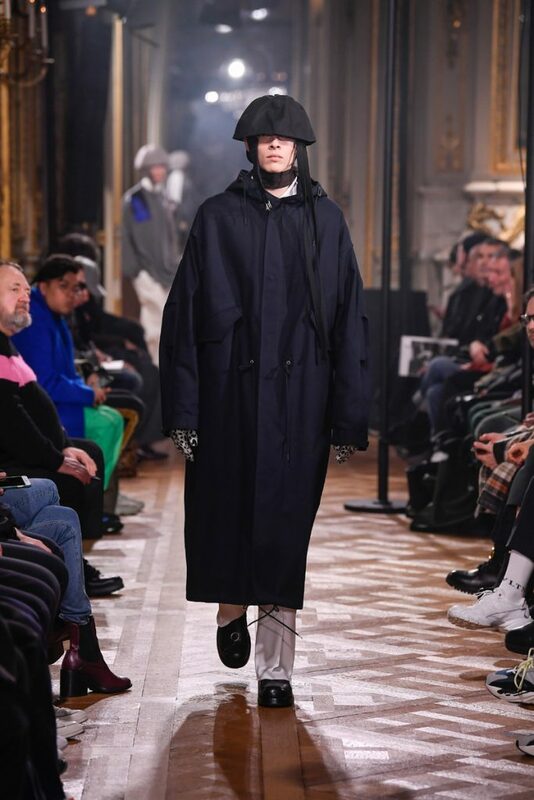 The show could be divided into two (one with a Joy Division soundtrack followed by a ten-minute intermission and second-half performance by Belgian post-punk band Whispering Sons). 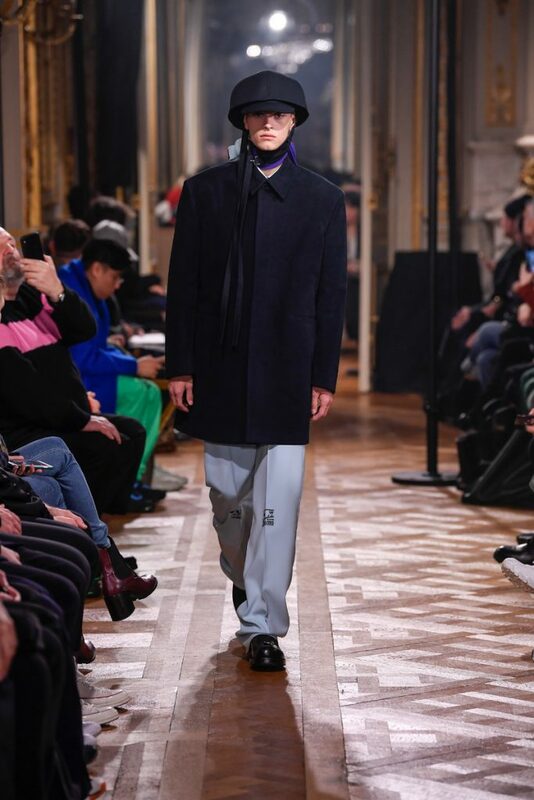 Not a word on his Calvin Klein exit, but we’re glad to see he put some extra focus into his eponymous label. 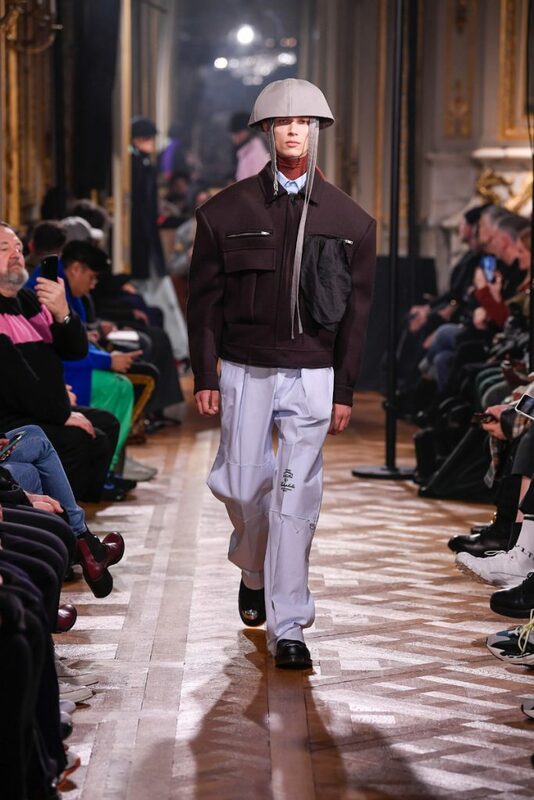 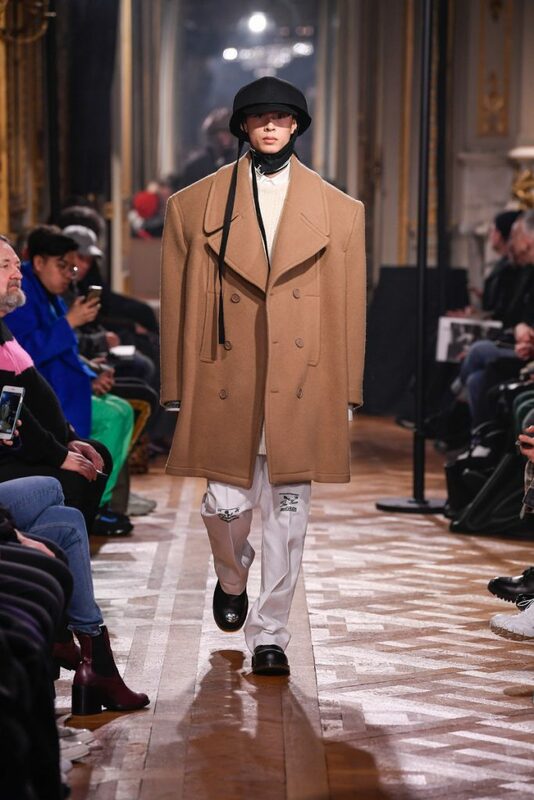 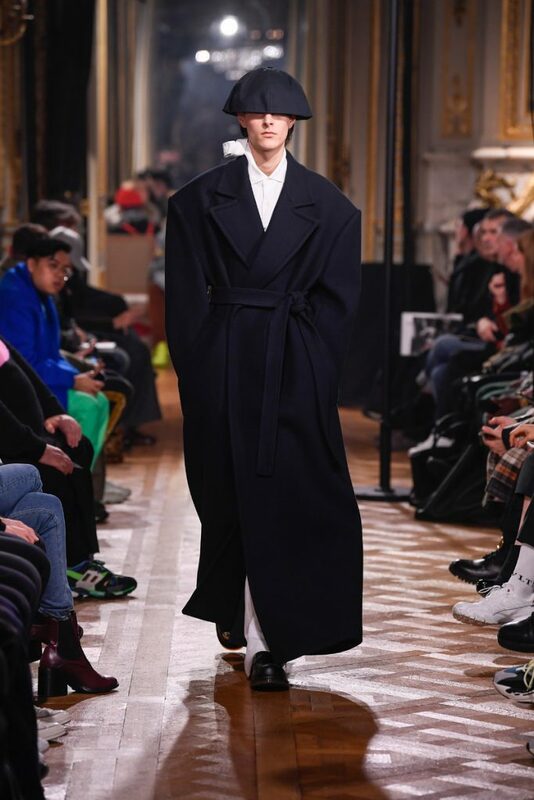 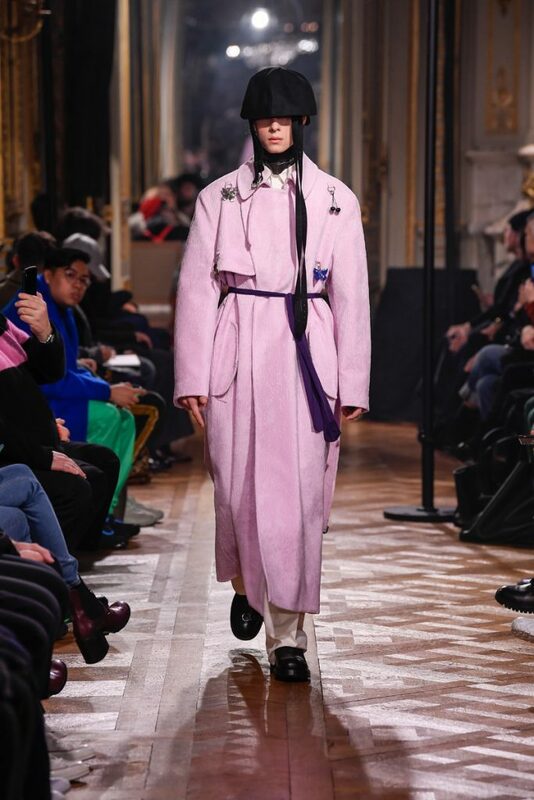 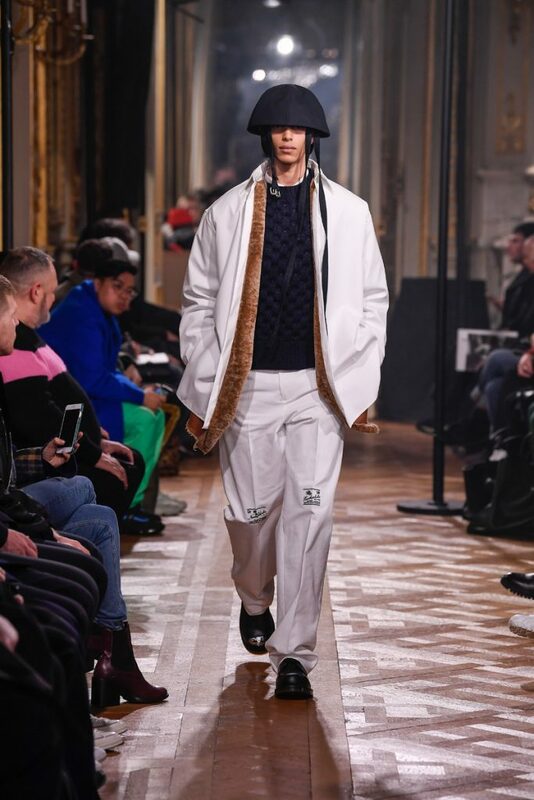 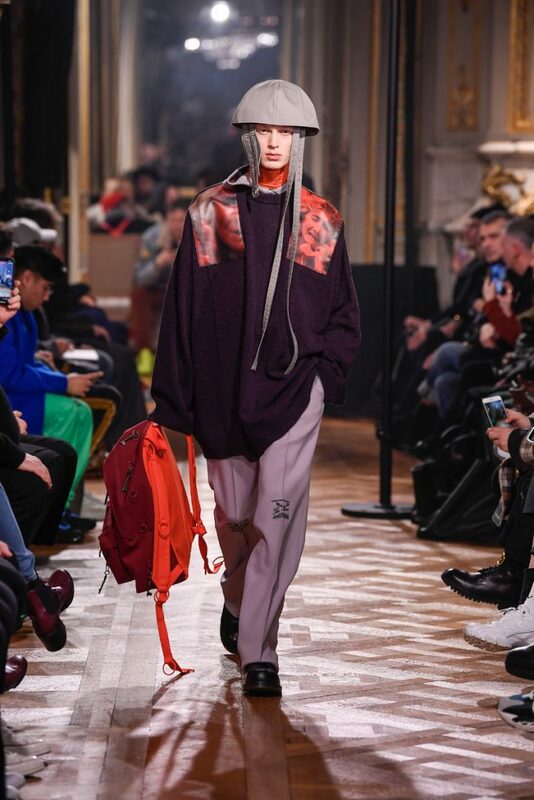 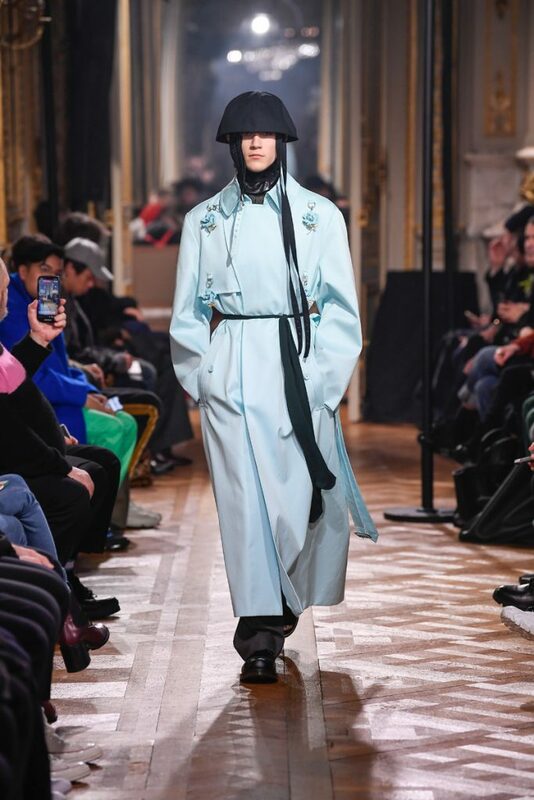 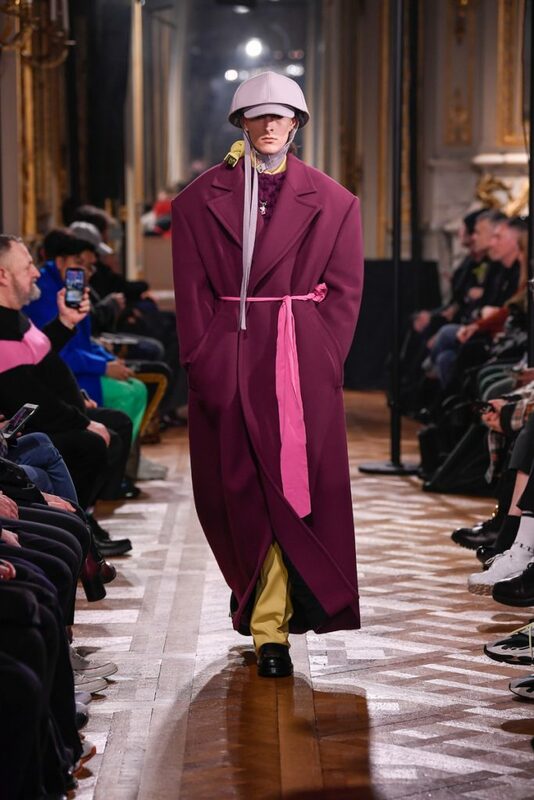 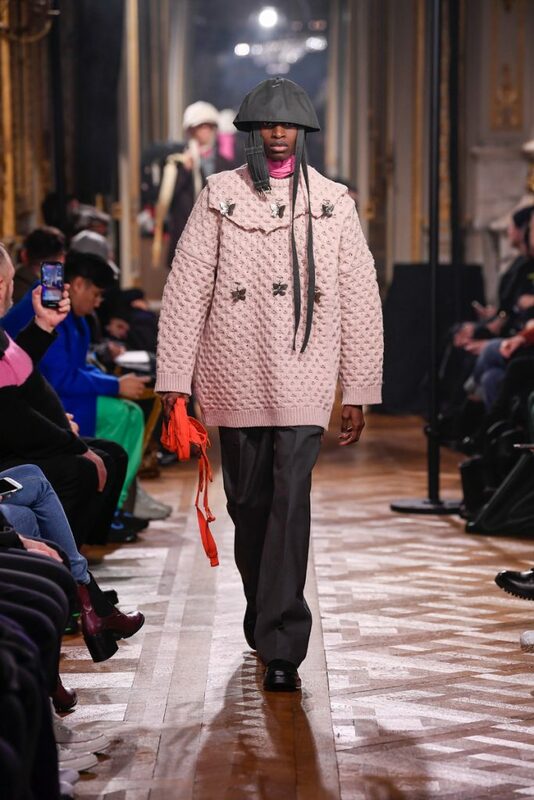 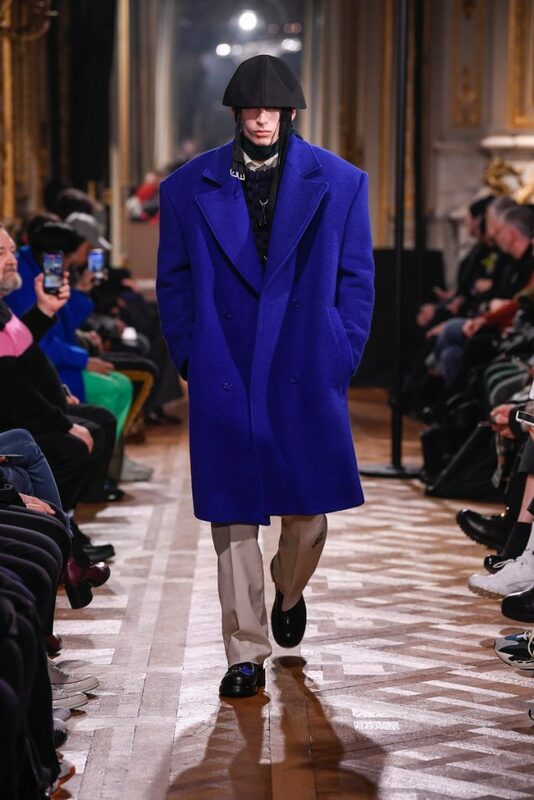 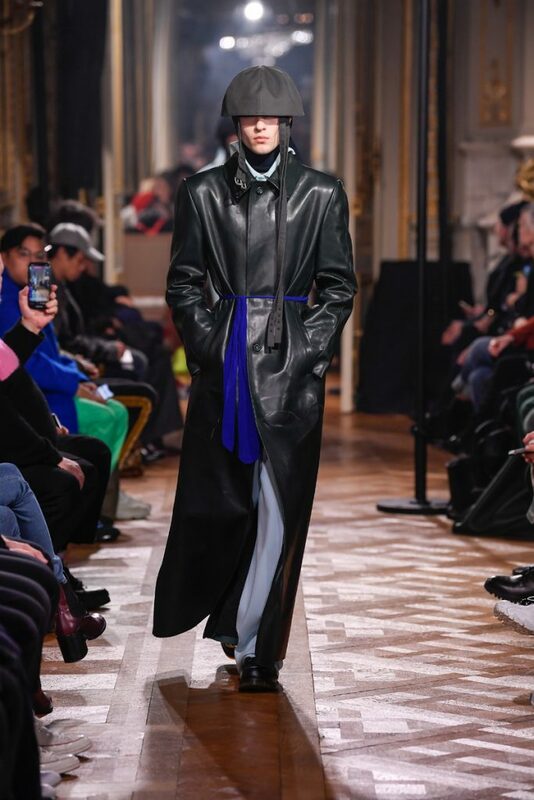 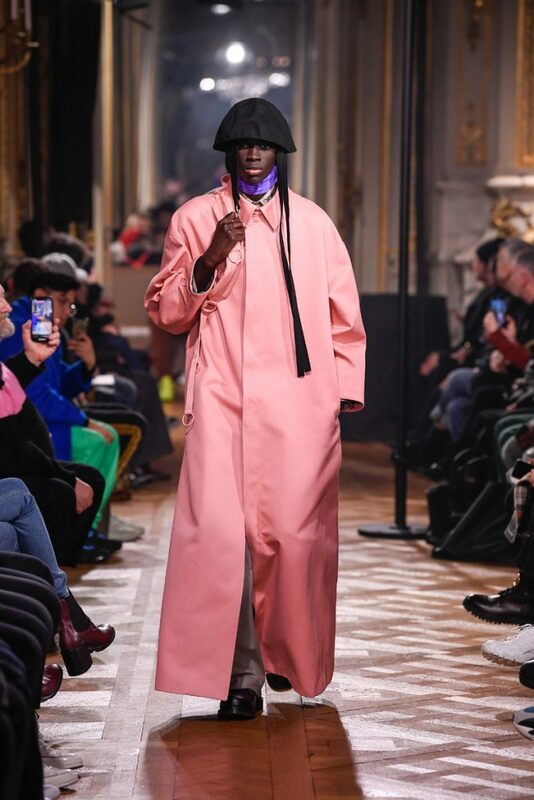 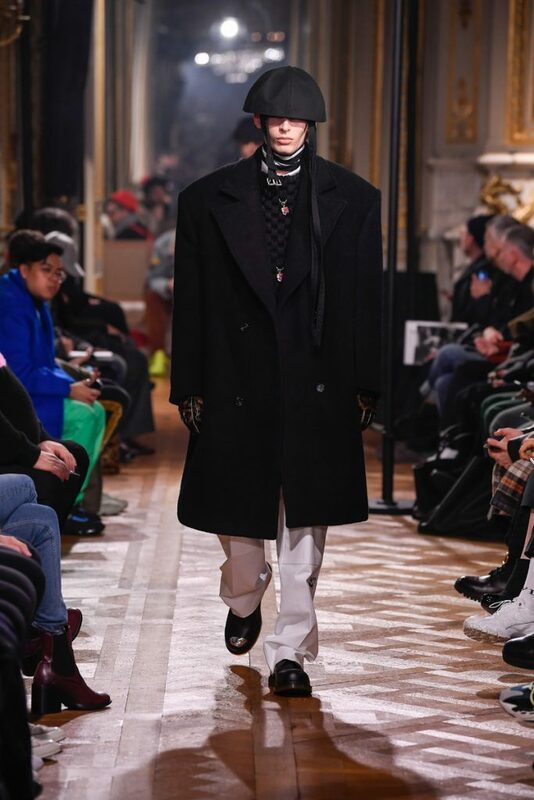 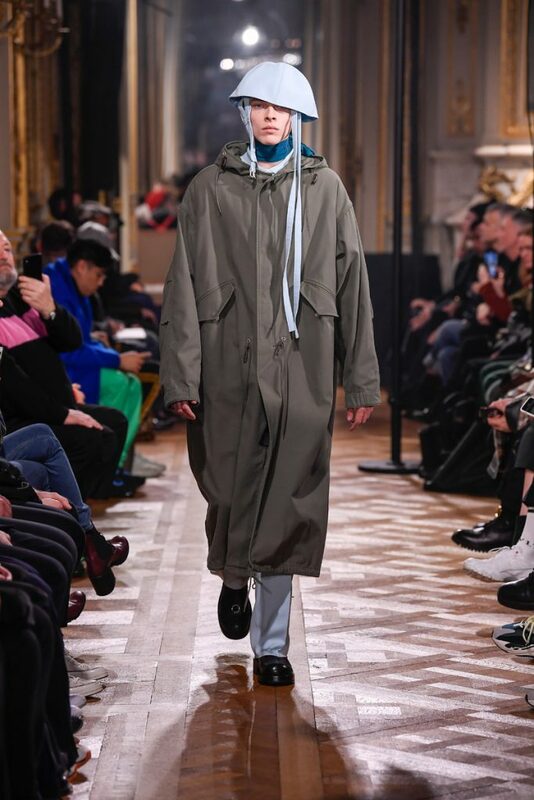 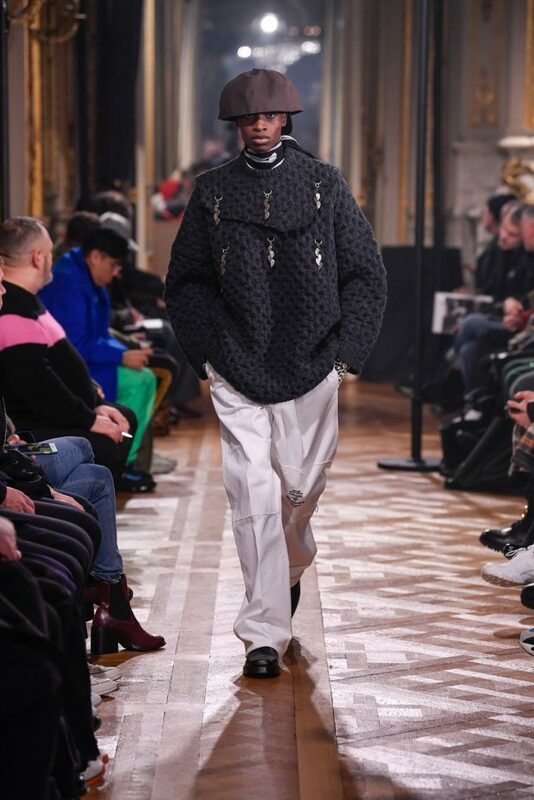 Looking for some dazzling fw2019 outerwear? 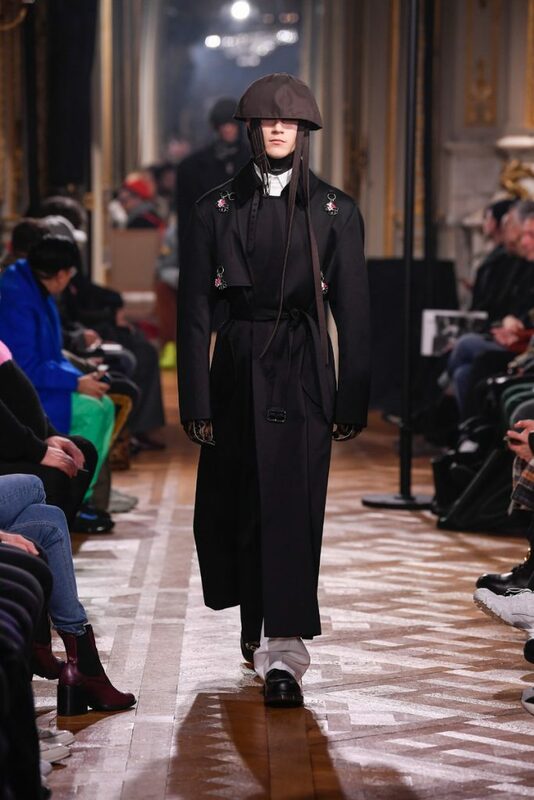 Raf Simons is your man.